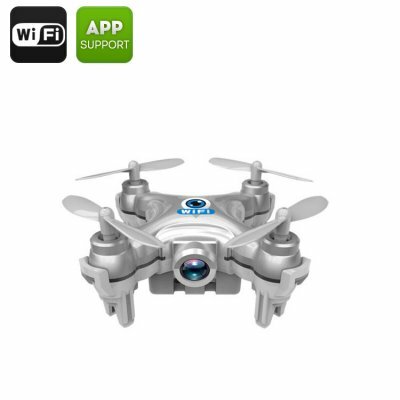 Successfully Added CX-10W Mini Drone - 6-Axis Stabilizing Gyro, 0.3MP Camera, Wi-Fi, 15 To 30M Range, Android & iOS Compatible, FPV to your Shopping Cart. Up Up and away!! The CX-10W mini Wi-Fi drone lets you taker to the sky and with its first person view (FPV) this tiny drone beings a great aerial view as you fly high. Your very own pocket size eye in the sky, the CX-10W mini drone brings a bird's eye view and lets you enjoy flying without having to invest $$$$ on an expensive camera drone. 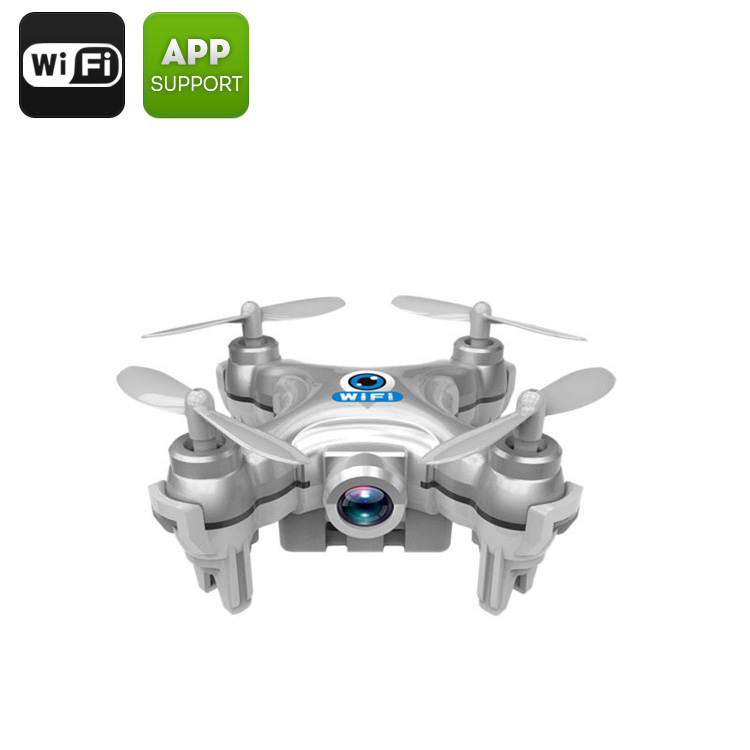 A great way to get into drones this inexpensive mini drone is control directly from your Android or iOS Smartphone and the intelligent app brings a FPV of your aerial antics direct to your phones screen. The 0.3 megapixel camera will let you snap pictures as you fly around so you can experience the fun of photography with this mini drone. At just 17 grams and able to sit in your palm this little drone makes for great entertainment as you can take it anywhere you go. Its small enough to go where big drones can't so you can explore the world around you in great detail. A six-axis gyroscope brings extra stability to flight so even kids can fly the CX-10W mini drone with relative ease. It has a 15 to 30 meter range and works with both Android or iOS phones by just downloading and syncing it to the special app. Amateur pilots, outdoor enthusiasts, adventures and kids will all love the possibilities this drone brings and at such a cheap price it's the ideal learning tool for budding drone pilots with boundless potential for fun and excitement. The palm size CX-10W Mini Wi-Fi Drone brought to you by the leader in electronic devices as well as wholesale drones..
Ürünü zamanında aldım. Hizmetinizden memnun kaldım.